Pittsburgh won a game they shouldn't have in Game 3 when Matt Murray stood on his head and stopped 47 of 49 Washington shots to lead the Penguins to a 3-2 victory. They also won a Game 2 in which Braden Holtby nearly accomplished the same feat before the Capitals fell 2-1. The pair of victories give the Pens a cushion in the series as they'll face on of their biggest challenges yet this postseason - win a game without arguably their most irreplaceable player in Kris Letang, who's averaged 32:27 TOI so far in this series. If the Penguins are going to be competitive in Game 4, they'll certainly need to do a better job at driving play than they did in Game 3. 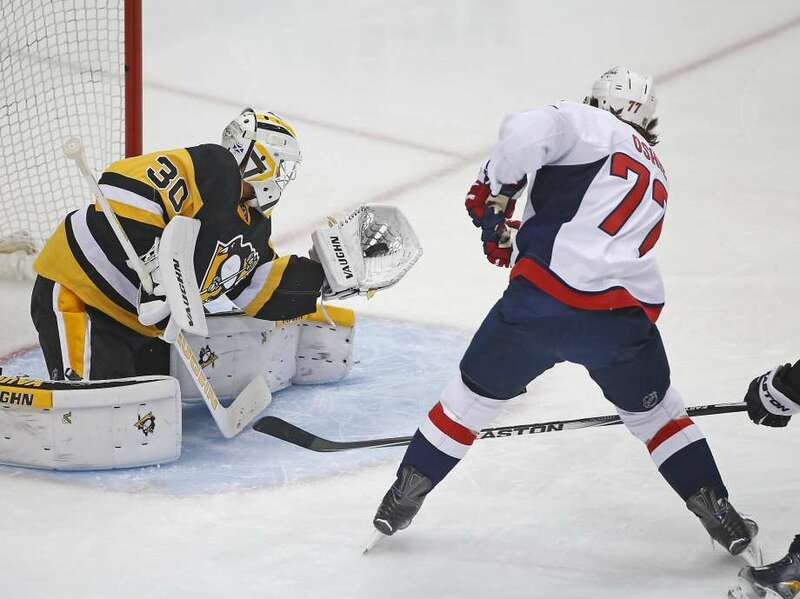 After scoring two quick goals midway through the 1st period, Pittsburgh had conceded a slight 12-9 advantage in shot attempts to the Capitals, but as they increasingly went into a shell as the game progressed they watched Washington enjoy a 52-22 advantage at even strength over the remainder of the game. As Mike Johnston found out earlier in the year, these Pittsburgh Penguins aren't built to be able to have success when they're focusing on defending their own zone, and they were lucky to hold onto the lead in the frantic close to the 3rd period. How much the Pens were going into a defensive shell during Game 3 and at the end of Game 2, along with how much they're able to drive play in Letang's absence, will go a long way towards determining how competitive they'll be able to be. It'll likely be Justin Schultz replacing Letang's spot in the lineup, although Olli Maatta will be a game time decision. Schultz would pair with Ian Cole to reunite a duo that had been effective in limited minutes down the stretch, and it'll open up Derrick Pouliot to play bigger minutes as the team will likely be trying to drive possession and outscore the Capitals without their top defender. - Eric Fehr did not participate in the morning skate and is listed as a game time decision by Mike Sullivan. - The Penguins have recalled Tom Sestito and Steve Olesky from Wilkes-Barre.